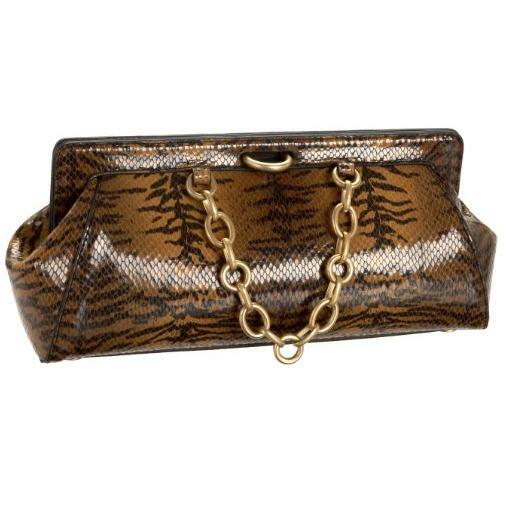 Stuart Weitzman Collection’s Michelle clutch in Tiger print boasts a perfect balance of uptown/downtown style. It fuses classic elements like luxe, semi-shiny anaconda-embossed calfskin and clean lines with the modern edge of a chunky chain accent. A second animal print gives it extra cool. Stuart Weitzman has built a reputation for his creative use of unique materials and for his attention to quality. Stuart Weitzman has earned accolades from the design world and counts some of the world’s top celebrities as part of his diverse fanbase. His accessories are often seen at events like the Oscars and the Emmys.